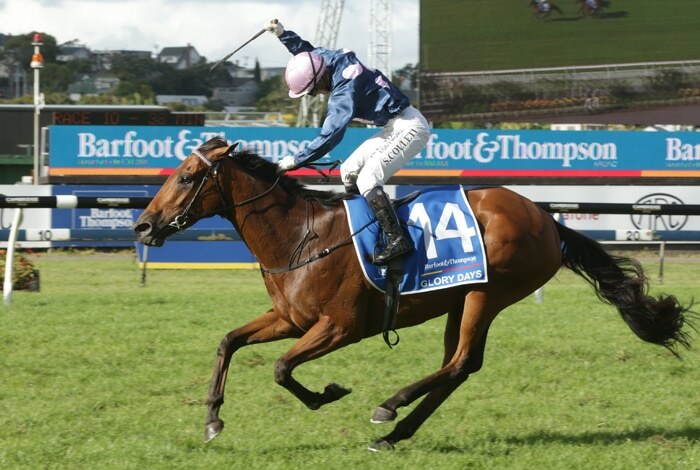 Local pundits are overlooking Auckland Cup winner Glory Days, but the Waverley mare’s trainer Bill Thurlow isn’t allowing that to dim his optimism ahead of tomorrow’s A$2 million Sydney Cup. Glory Days is as long as $20 in a market headed by Godolphin’s Charlie Appleby-trained raider Dubhe at $3.50. A wide draw on top of an obvious undervaluing of New Zealand form has been factored into bookmakers’ calculations, however Thurlow sees it differently. Glory Days arrived in Sydney on Tuesday and according to her trainer took little time to find her feet in a quite different environment at expat Richard Litt’s stables. “It’s a bit different to what she’s used to but we made the right decision coming out here,” Thurlow added. “She settled in right from day one, and sure she tightened up with the trip up to Auckland and then the flight over, but we expected that. Thurlow has no qualms about barrier 19 in the limit field, something that he’s satisfied rider Corey Brown will be able to work with. “We saw in the Auckland Cup the way she dropped out to the rear and then what she did, so that’s pretty much the game plan. “The main thing for her is that there’s a decent tempo up front and with the big field that’s how you would expect it to play out.